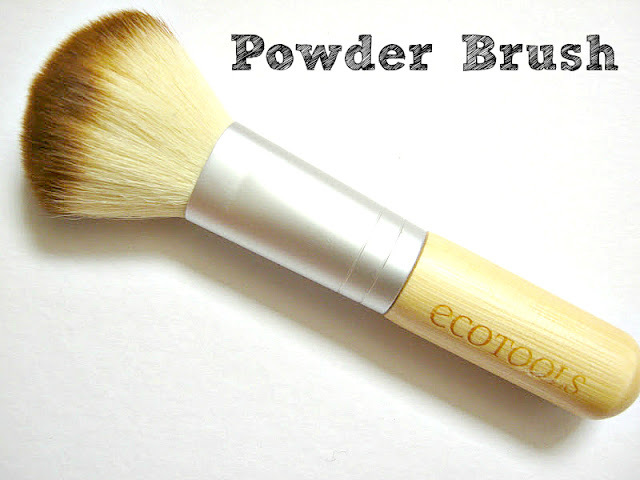 I've heard so much about Ecotools. Like loads! But I've never tried them out and that's only because I honestly was never attracted towards them. I purchased this particular pack off eBay after I read Mariam's post which you can see here, (she's such a lovely Blogger guys! you have to check her blog out :)) and it was only like £3.78 I think, which is a tempting price if you ask me. Ofcourse, with eBay , there's always is it real or is it fake. So I looked it up on the Ecotools website and the only difference was the travel pouch thing. This one didn't have zipper and the one on the website did. I still bought it. Anyways, I am so glad I got them because these are the best brushes I have ever used. I am pretty sure they are the real deal because I've been seeing so many bloggers blogging about this particular one of E-bay for about £10. This pack contains 5 pieces: A mineral powder brush, an eyeshadow blending brush, a concealer brush, a baby kabuki brush and a travel case. So everything you need in a way. Almost. These are 100% cruelty free, created with natural and recycled materials and the handles are made out of bamboo. The bristles are synthetic and so very soft. The mini travel case is pretty useful too for travelling (obviously). I don't currently use any mineral makeup but I really like this brush for applying translucent powder, or any type of powder really. It's really very soft and quite dense, and picks up a really good amount of product. The application is very even and smooth as well. I do use it for blush at times too which works really well too. The eye shading brush is soft as well and the bristles are a good length for applying eyeshadow all over the lid. Its kinda tapered in way which is great for creating a crease. I know its for eyeshadow but alot of the times I use it to blend out concealer and it works so well for that! I've actually swapped the concealer brush for this one! The concealer brush is the perfect size. The bristles are not too long or short in my opinion and it blends out the product really easily as well. I like that it's slightly stiff but not scratchy. The bristles are soft and packed together nicely. Like I said before, I swapped the two, so alot of the times I use this for eyeshadow as a flat flat shader brush. It really just depends on you and what works well for you. And the baby kabuki brush. 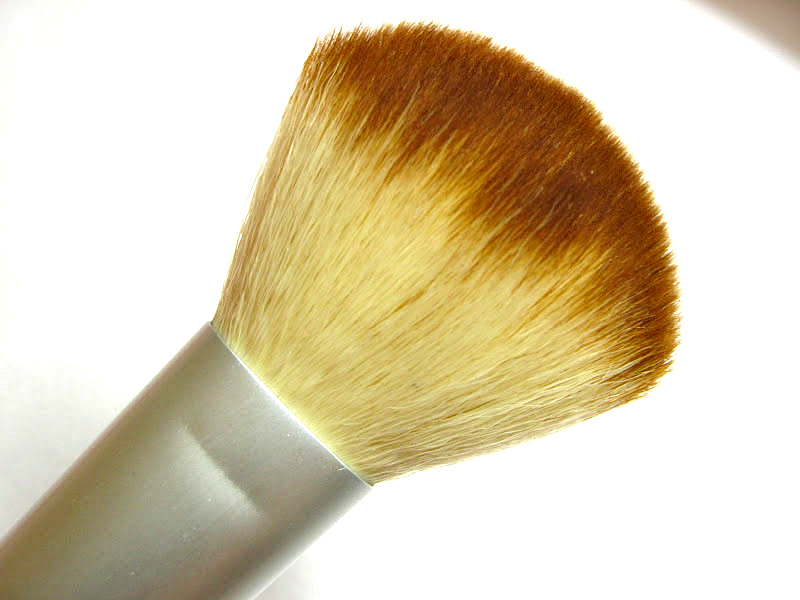 I love kabuki brushes for buffing in the powder and setting foundation etc. Its also soft like the others and picks up a good amount of product. I like this for contouring as well. Overall I am sure I'll be getting some larger Ecotools brushes. These are amazing quality, look and feel very sturdy and so soft. I love that they aren't scratchy at all as well as being eco-friendly. I've washed these about twice and no shedding has occoured which is really great because alot of brushes do shed, even a tiny bit when you wash them. Have you tried any Ecotools brushes? Which ones would you reccomend? Did I just hear £3.78 for the whole set? They look gorgeous and full of quality, plus they're eco friendly! I always thought they looked a little scratchy so I'm glad to hear otherwise. Wow! I'm going on ebay right NOW! I am actually thinking of getting a bigger kit now since these are really nice! They look lovely, I don't know eco tools. Great review. I did the same! never got them for some reason but for this price I thought I'd just them already. they dont shed at all!